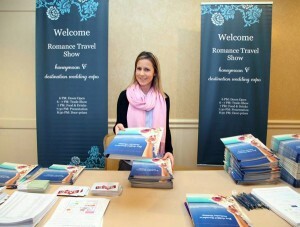 5:30 PM - Free Destination Wedding Consultations with Certified Specialists are available. 6:00 PM - TRADE SHOW: Doors open to invited brides and grooms and their guests. 6:30 PM - FOOD: Appetizer food will be available to all attendees. 7:30 PM - 8:30 PM PRESENTATION - An invaluable Honeymoon & Destination Wedding presentation to help you plan your stress-free trip.